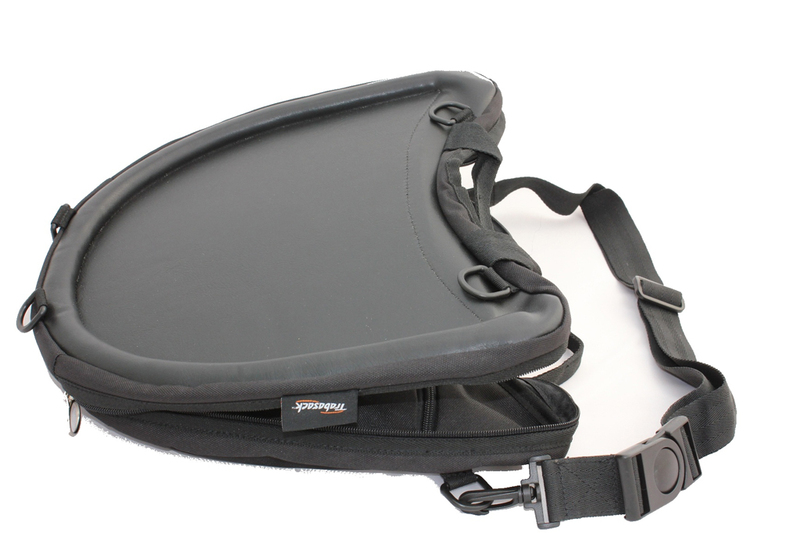 Trabasack Curve Lap Tray And Bag With Snug Fit. The Trabasack Curve is an innovative, award winning travel bag combined with a versatile lap desk. The built-in lap desk feature provides a sturdy and steady flat surface ideal for working, eating or playing on-the-go, no matter what the location. The Trabasack Curve is ergonomically designed to fit snug and secure around the waist whilst in use, ensuring total comfort and stability whilst in use. Each Trabasack lap desk bag contains a removable bean bag cushion that fits inside to help keep the lap tray level, and eliminate any discomfort caused by the overheating of laptops or netbook PCs. The Trabasack Curve can be worn in a number of stylish and practical ways, utilising the long and shorts straps provided with each bag. 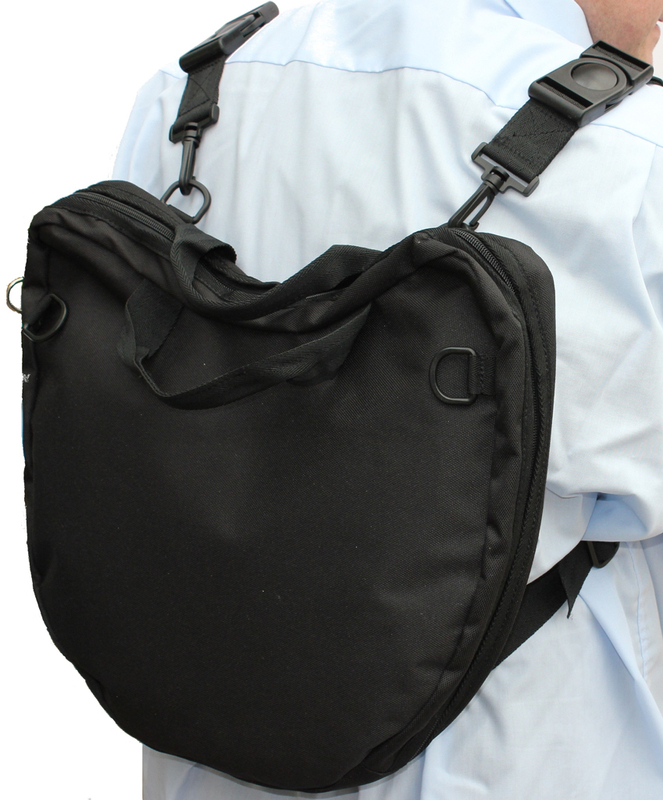 The straps can be attached and removed with ease to allow use as either a briefcase, satchel, messenger bag or rucksack. The shorter straps also allow for the bag to be attached to all types of chair, car seat or buggy to provide a dining or play space on car trips, or where a highchair would otherwise be unavailable. Each Trabsack lap desk bag is made from hardwearing, durable fabrics that are both machine washable and shower-proof, providing the ultimate combination of functionality, style and security. 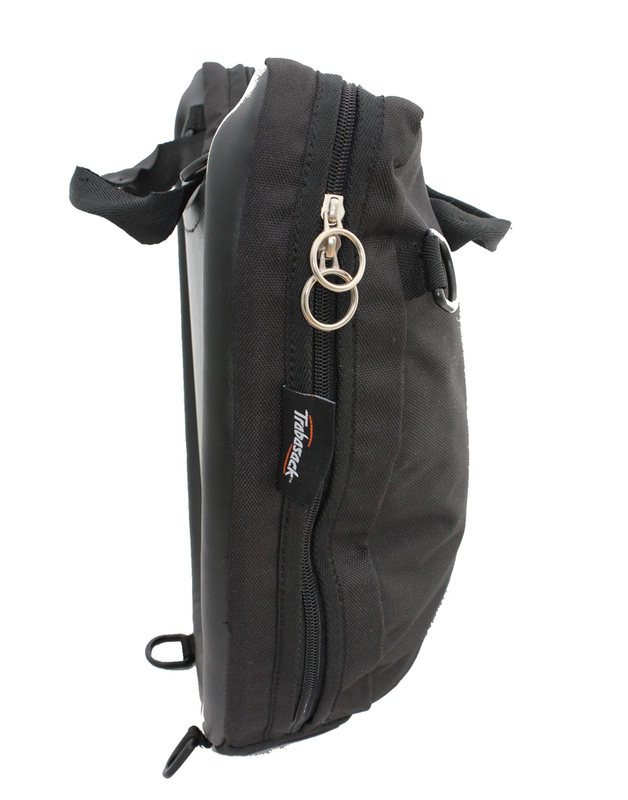 Easy ring pull zips, grab handles, and multi strap options. Internal zip pocket. Swivel clips on the luggage straps and quick release buckles. Well designed and manufactured. Handy bit of kit.